Woods are certainly one of the most intriguing places to explore, for they are vast and treasure the riches untarnished. 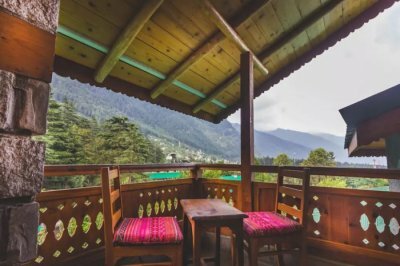 A stay in the woods covered by the blanket of green makes for an incredible experience, thus making the best treehouses in the world a unique, elegant, and absolutely surreal retreat. From the bushes of Africa to the Prairies and Temperate grasslands in America, these treehouses are perched atop the giant structures. Peeping from a height, these stays evoke charm and romance. As stunning they are, they overlook the giant canvas of nature of around and are one of the travel goals. 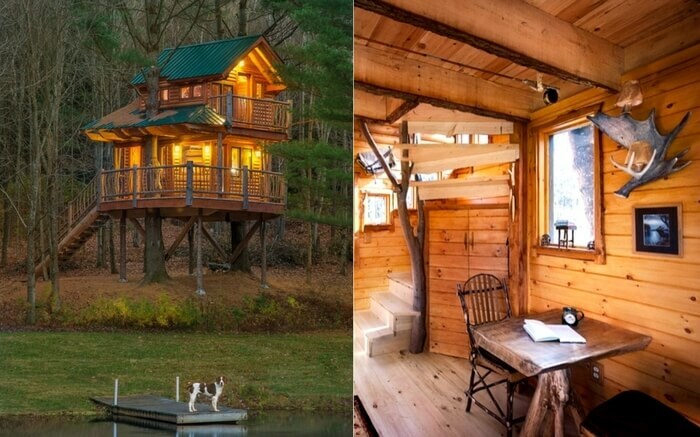 Take a look, as I bring you the list of 15 most picture-perfect treehouses in the world that are surrounded by nature’s magnificence. 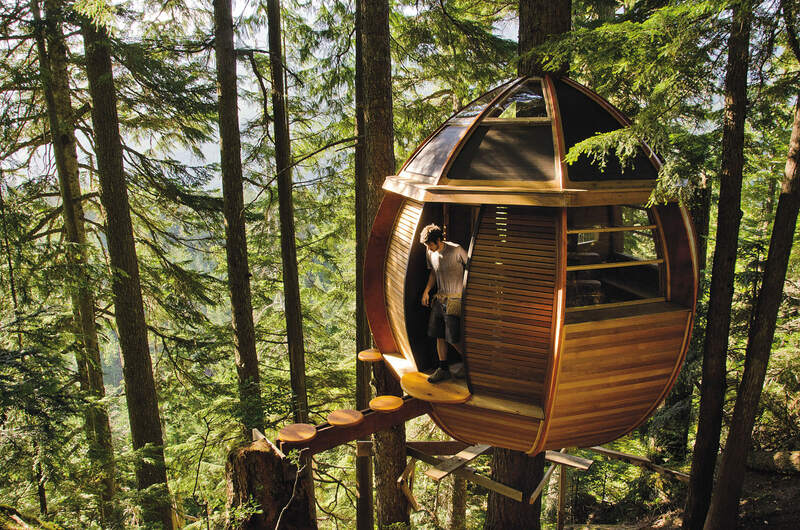 Located 32 km to the west of Revelstoke, the Castle treehouse is world’s tallest treehouse in the Enchanted Forest in British Columbia. With plenty of attractions and over 350 handcrafted figurines, this whole place looks straight out some fairy tale! The 3-storey treehouse is your go-to place to celebrate a day out with family. Cedar stump house and dungeons are the other attractions that you can find around the treehouse. Find more details about the treehouse here. Nestled in the secret hideout in the woods of British Columbia, Whistler is another fine specimen of human’s creation. The treehouse, located in the deep embrace of the woods sits on a lofted platform. 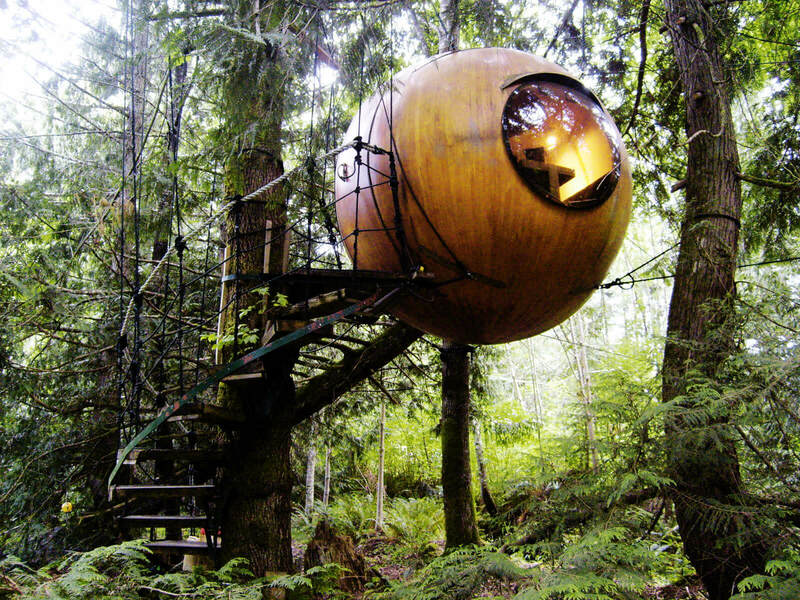 The egg-shaped treehouse was built by Joel who made a living out of carpentry. His love for woods made Joel more inclined towards making a treehouse that sits by the precipice. This structure is one of its kind and the fanciest retreat in the Whistler region. 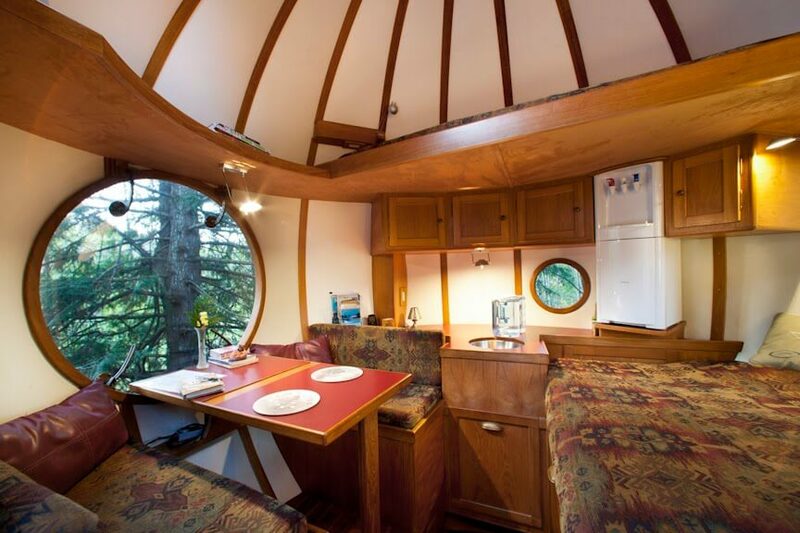 Plan a stay at the hidden beauty of the Vancouver Island rainforest. The Spherical shape of the treehouse made accessible round staircase is done up in colorful rocks supported by neatly crafted interiors. 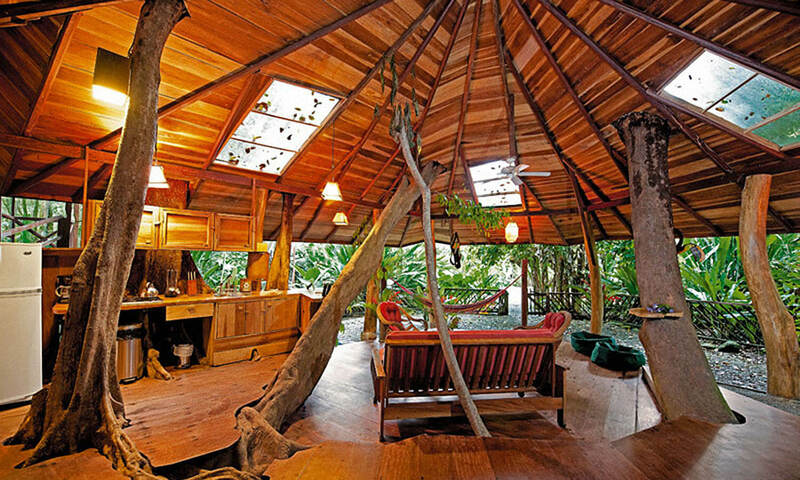 Good food, amazing beverage, and cleaner toilets make this treehouse a perfect material for a quick escape. Suggested Read: 20 Best Places To Visit In Canada That Will Leave You Spellbound! 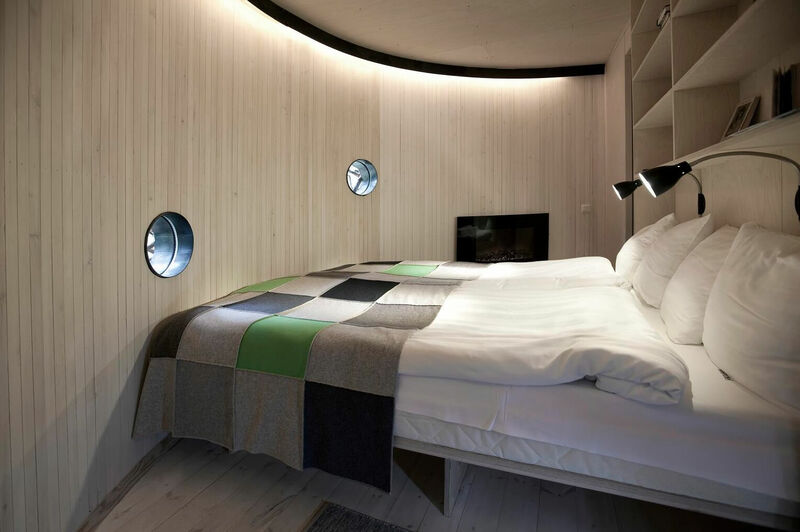 The modular interiors are neatly designed and look like a fancy stay! Perfect enough to give you the right feel of an accomplished stay in the jungle. 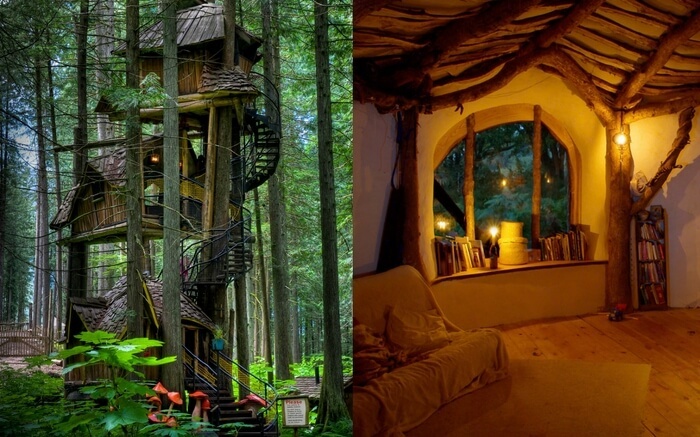 Probably one of the coolest treehouses in the world, this one is located in Muskoka region in Canada. 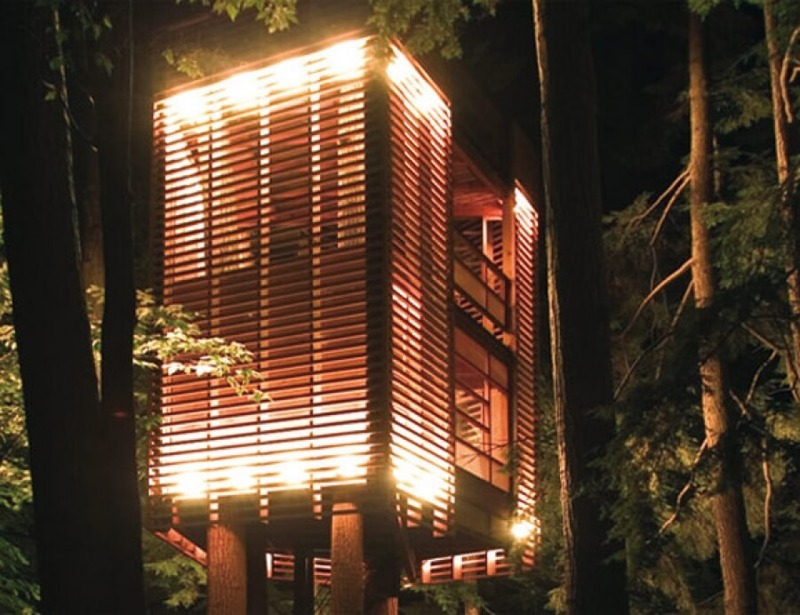 The treehouse resembles a well-lit lantern at night and is the fanciest place you would ever find a cozy slip. 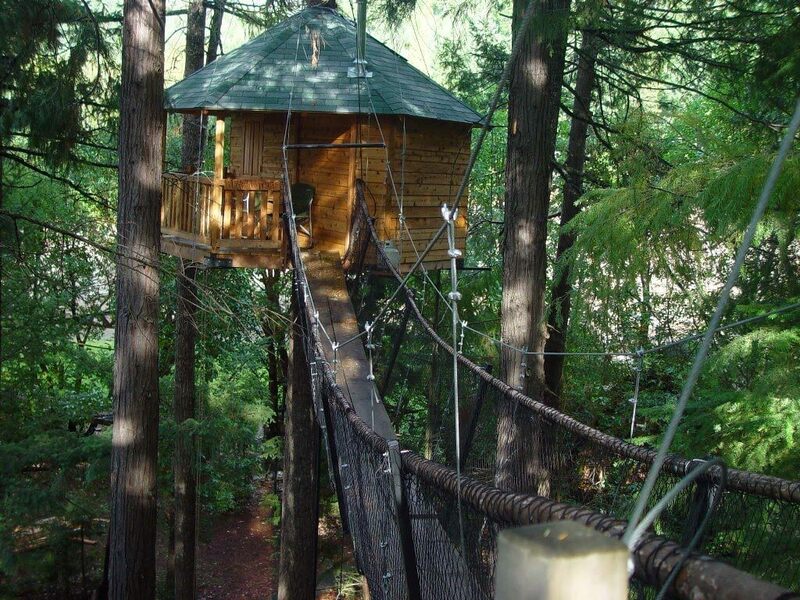 Consider this treehouse for a romantic day out in the woods. It will brighten up your moments for sure. 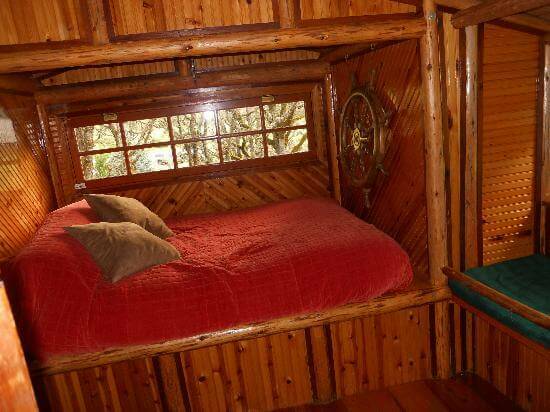 At Treehouse Points you have ample of arrangements to take care of your fancies and fantasies. 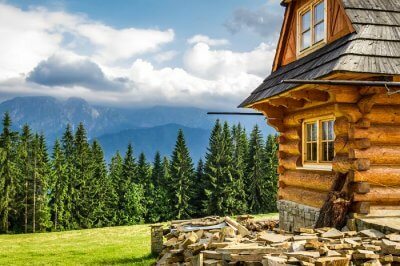 The intricately crafted house made out of wood is tailormade for glamping. The wooden cabin made up of cedar wood, fire pit and flowing river nearby make for a prominent attraction. 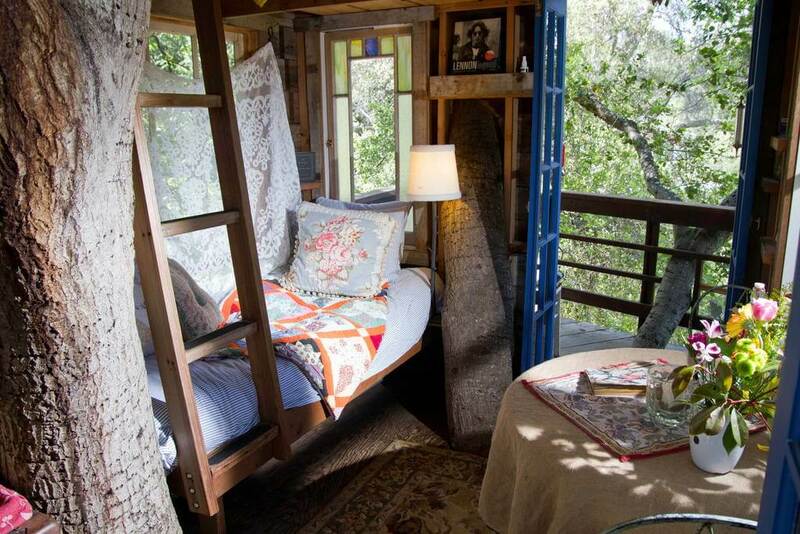 The entire treehouse setup looks so inviting that it would lure you into a dream date soon. 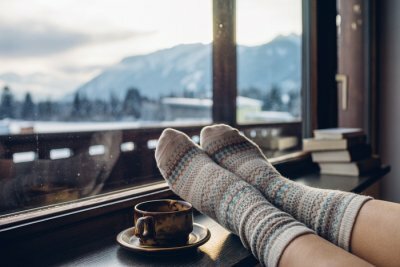 The organizers at Treehouse Point have made sure that you get to spend the best moments of your vacation. Theme wedding, tours, massage, spa, and yoga sessions are some of the activities that make the treehouse a must-visit attraction. The Moose Meadow Lodge and Treehouse looks straight out of the picture-postcard. 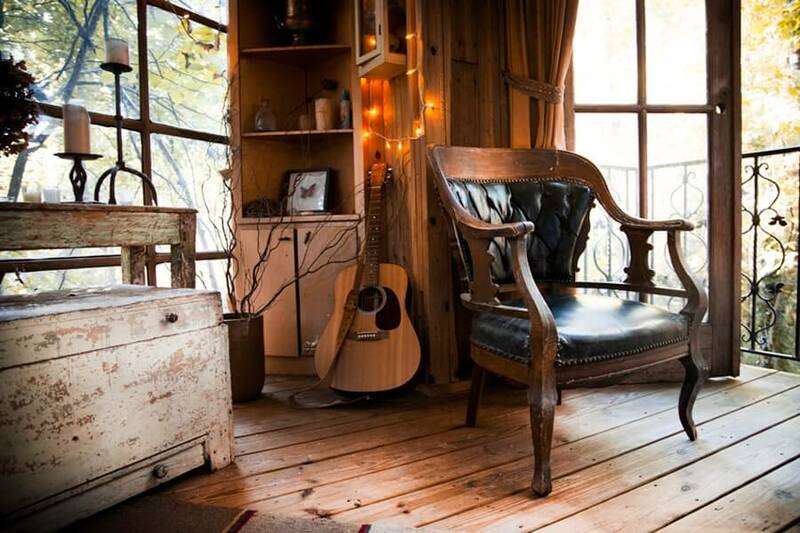 And resembles the dreamy setup that you saw in your books during childhood days. 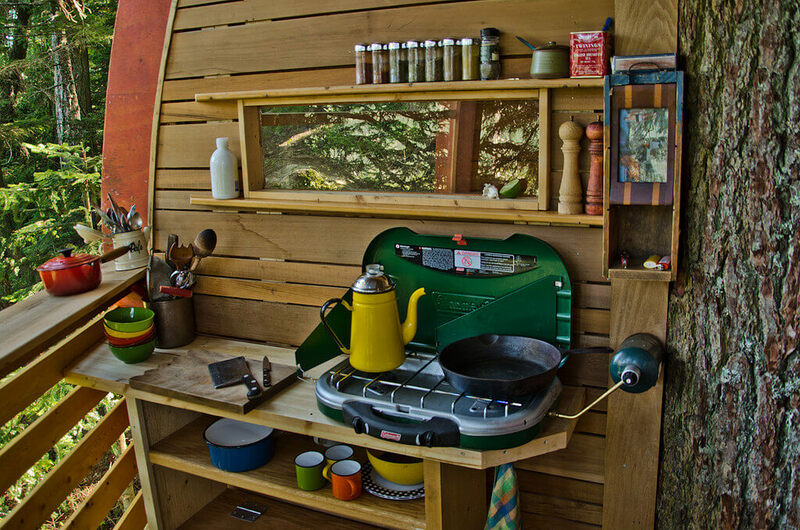 The lodge built on a tree stem makes a perfect setting by the stream and is an ideal setup. 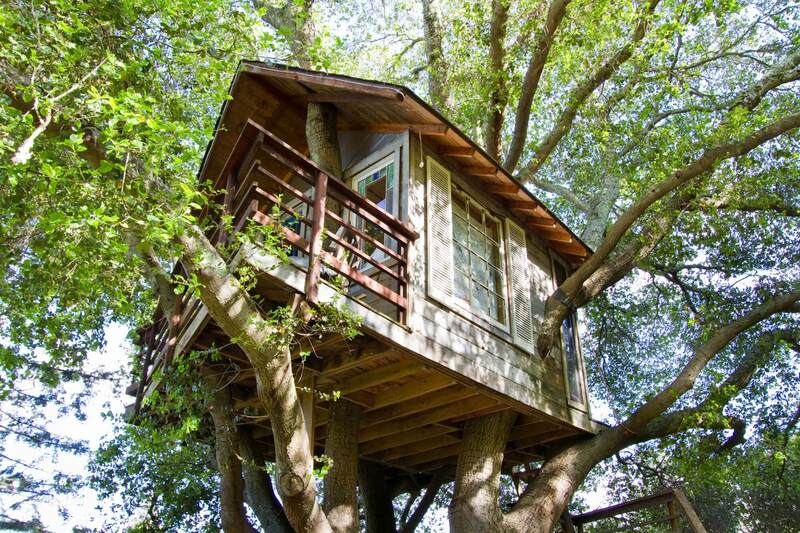 Ideal for romantic couples as well as backpackers this treehouse located in the Francisco Bay area in California is all about a memorable stay in the woods. Ideal for 2, the treehouse is entwined in the tree with branches piercing the treehouse from all sides and giving it the look of an ideal vacay retreat. The 150-year-old oak tree is the giant host where the cozy retreat thrives. 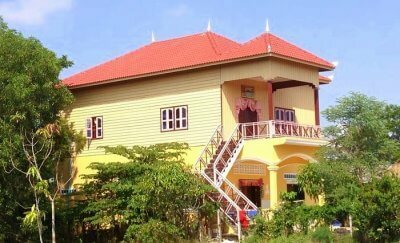 Be assured of a cozy and comfortable stay in this picture-postcard retreat. 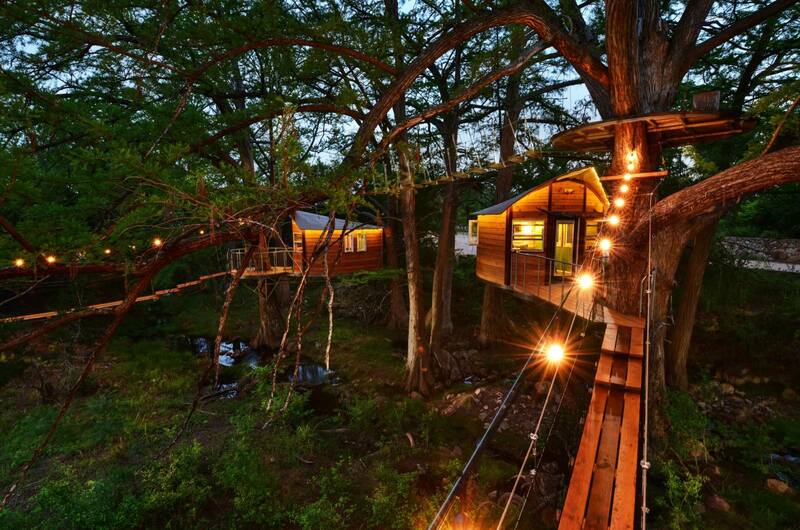 Canopy tours, treehouses and a lot of adventures, the Cypress Valley in Texas is an ideal getaway for nature lovers. Highland lakes, dense forest, and as many as 25 treehouses make Cypress Valley a perfect place to explore for everyone looking for experiences. Apart from the treehouses, there are plenty of attractions if at all you are looking at other heavenly experiences. This one is a must-visit. 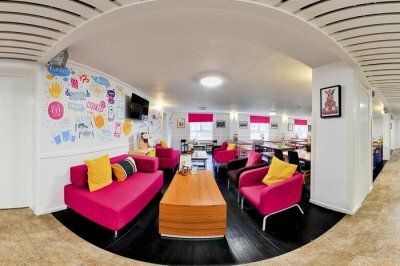 Out N’ About Treehouse is the apt place to enjoy fun-filled moments with family and friends. 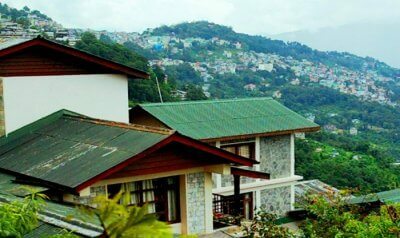 With the myriad of activities, this place has the right appeal to charm any wanderer. Lots of activities, zip lining, horse riding, and swimming make the treehouse in an interesting proposition for any wanderer. How soon do you plan to stand on the swaying bridge connecting those treehouses? 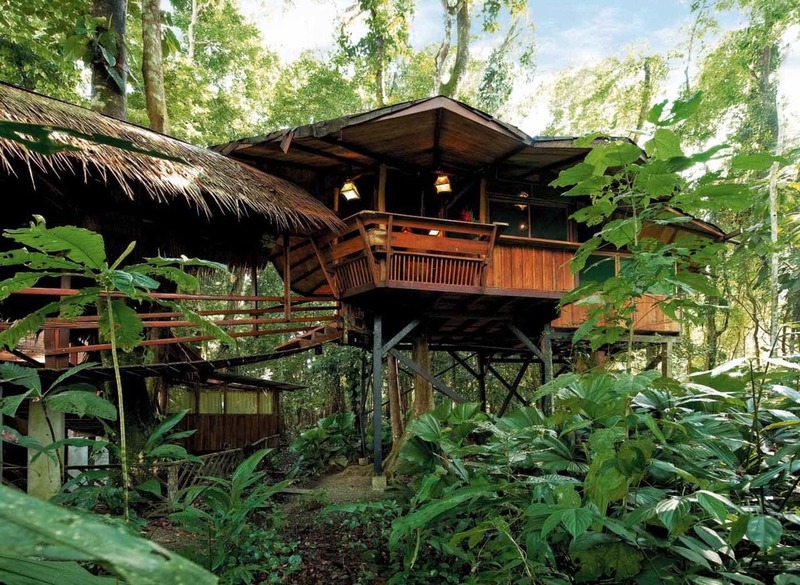 Located in the close proximity to the seashore, the Treehouse Lodge in Punta Uva in Costa Rica is a nature lover’s delight. Soaking the mild breeze from the sea, and charm of the surroundings, this place has to be atop your bucket list. Bamboo and thatch are the prime ingredients of the Treehouse Lodge. Hot tub and beach facing suite make the property even more exciting for the travelers those who are looking at experiences. Adventure activities like zip lining, surfing, and canopy tours are also organized by the Treehouse Lodge owners. 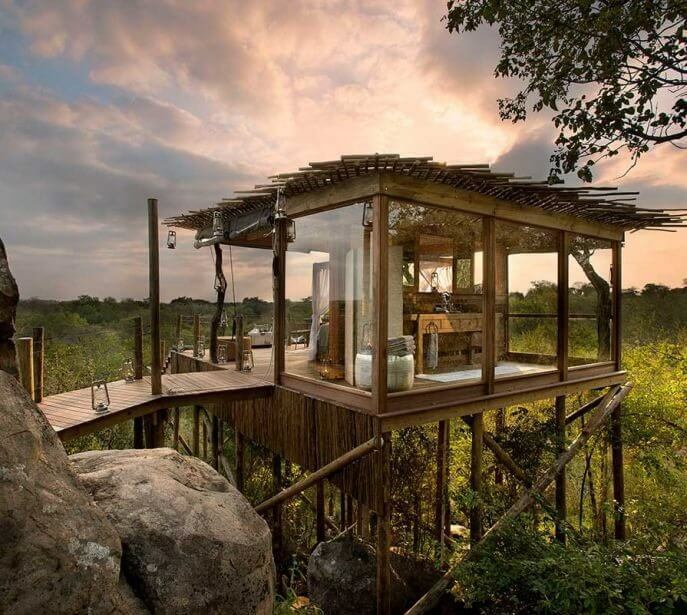 Camouflaged in nature’s awesomeness, Bird’s Nest Treehouse is the perfect blend of nature’s magnificence and human brilliance. 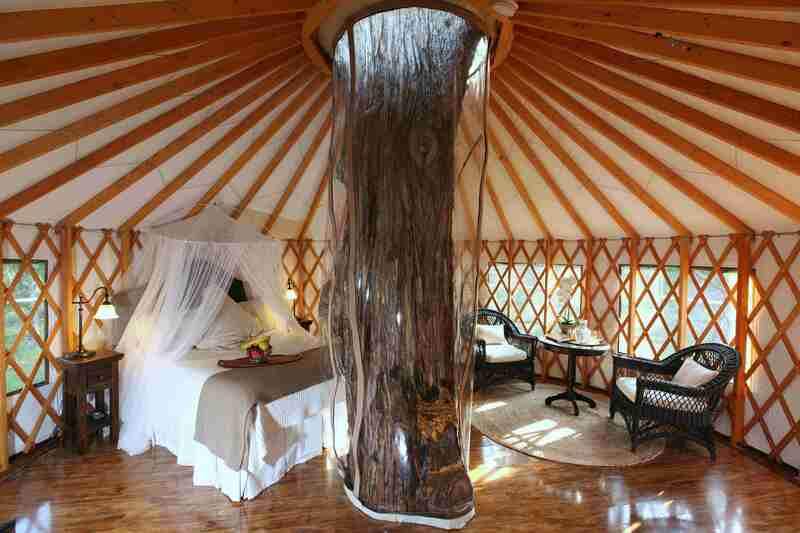 As exotic as the treehouse looks from outside, it is equally classy and indulging from inside. For the convenience of the visitors, there is a restroom, spa, and bar at the Treehotel. The treehouse has finely crafted interior walls gleaming with wooden panels. A retractable staircase lets you inside the classy stay that has separate bedrooms, living room, toilet with wifi. The huge bird’s nest is sheer class and the surroundings are so tranquilizing. Try it once! 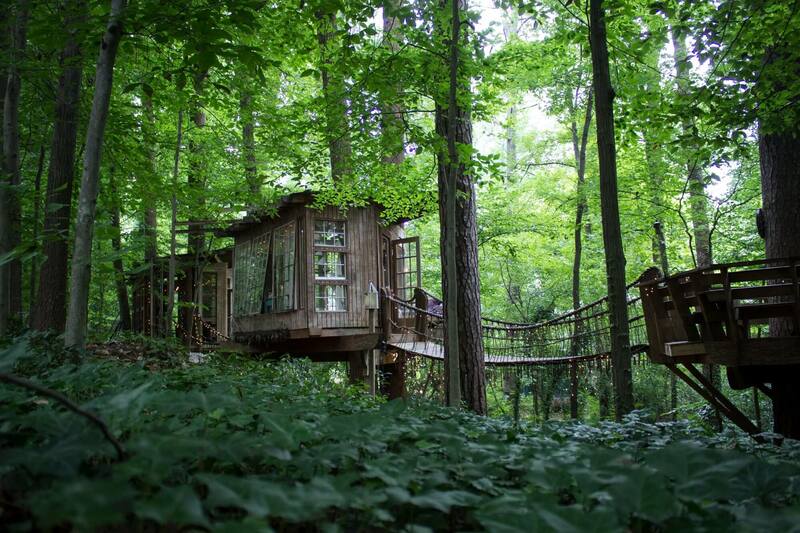 If you aspire to live out of a fantasy stay right in the woods, then it has to be this treehouse in Atlanta in Georgia. Rustic appearance of the three cabins of the treehouse makes it look even more alluring. A suspended rope bridge connects the cabins that are well decorated with proper lighting and picturesque surroundings. You can make the direct bookings from their website or Airbnb. The wonder treehouse located in Hokuto in Japan is one of its kind treehouse in the world. Placed right amidst the cherry blossom trees, the Tetsu Treehouse stands on a single Cypress trunk with pink hue of awesomeness all around. 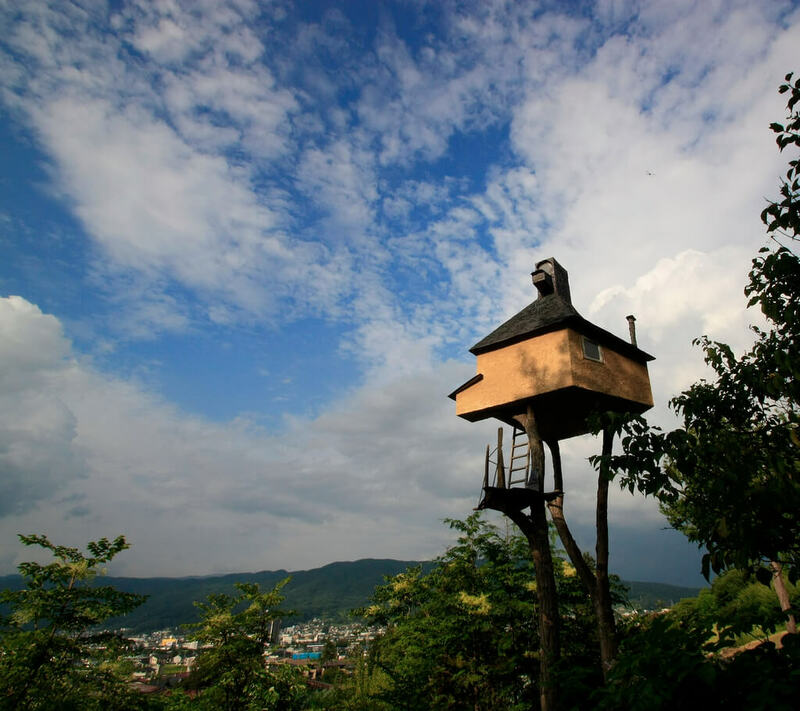 Architected by Terunobu Fujimori, this treehouse is the most fairytale stay you would ever see in your entire life. 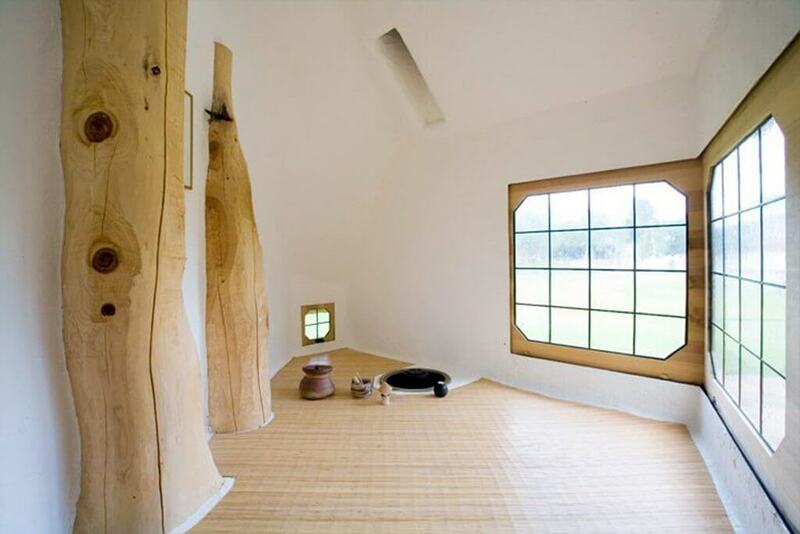 As picturesque as it looks from outside, the one-legged structure is equally neatly crafted from inside. 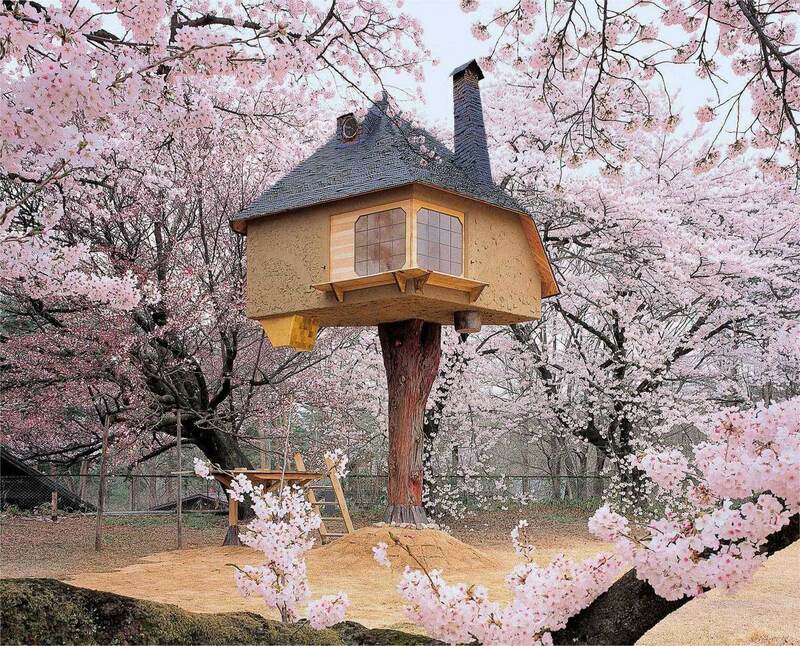 If you are planning a trip to Japan and the iconic cherry blossom is on your mind then no other place in the world meets your fantasy more than this treehouse. A tea house in Chino in Nagano Prefecture, Takasugi-an is a house made out of wood in the deep embrace of the woods. The treehouse stands perched on a raised platform and is designed aesthetically. The compact tea house standing perched on a raised platform lying on chestnut trees. The views from of Chino from the top makes this place even more exciting. Tea houses in Japan are also considered important from tradition point of view. The Tea Ceremony is a popular event in Japan. Which could be the better place to experience nature’s grandeur? 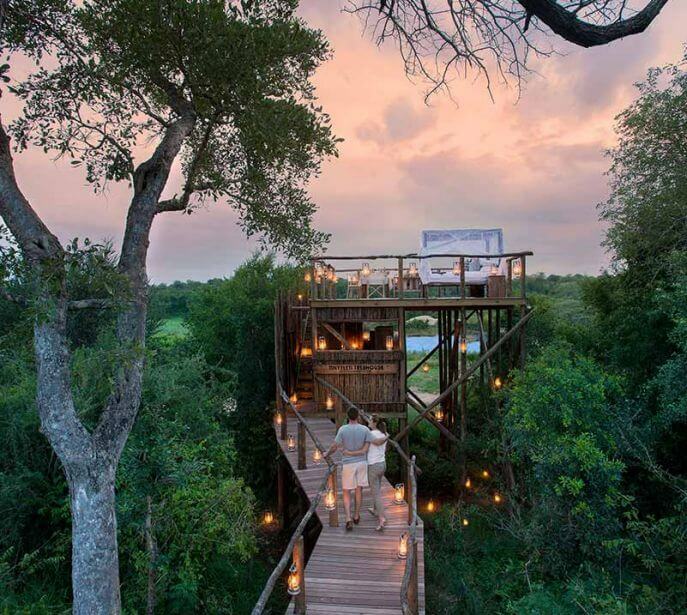 Do you dream of a stay in the seamless Savannah perched atop a treehouse? 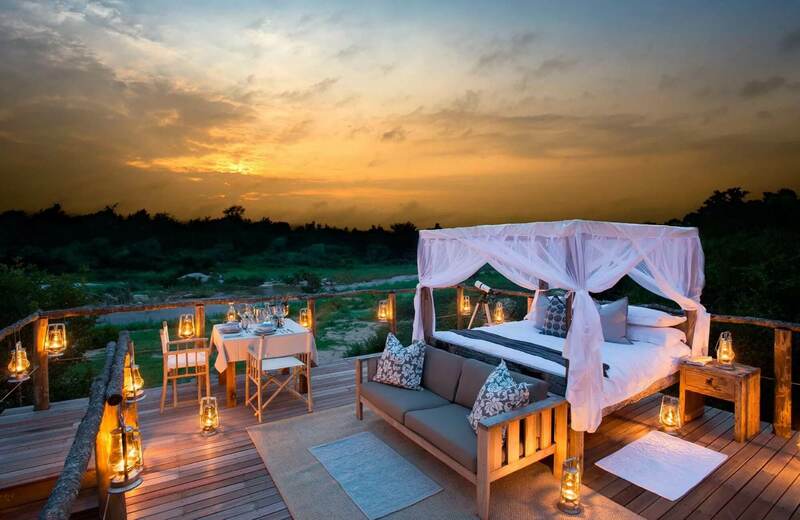 Lion Sands Game Reserve is the perfect place for you to catch the breathtaking sunrise and sunset views emerging from the vast bushes. With nature at its best and wildlife strolling the stay, this could be the most mesmerizing experience ever. 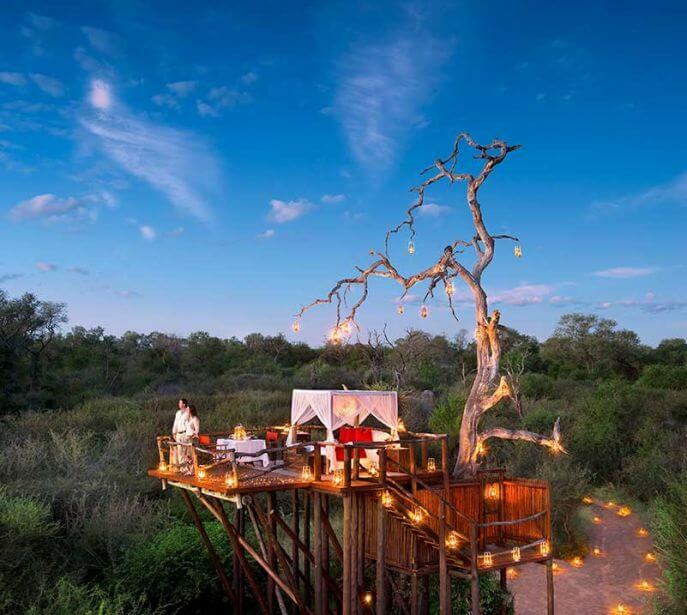 Make a booking in one of these Lion Sands treehouses here. Knock knock! Wake up from your fairytale dream and start looking out for these architectures that are nothing less than a wonder. 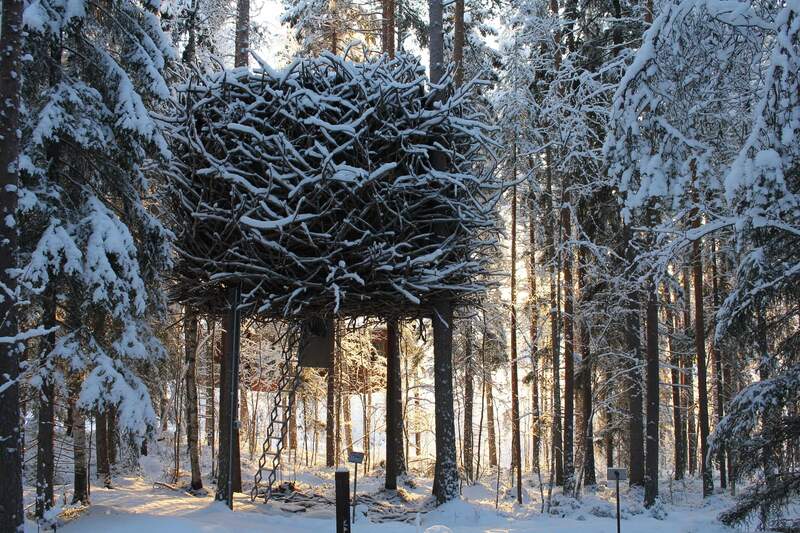 Yes, all of these treehouses exist for real! !